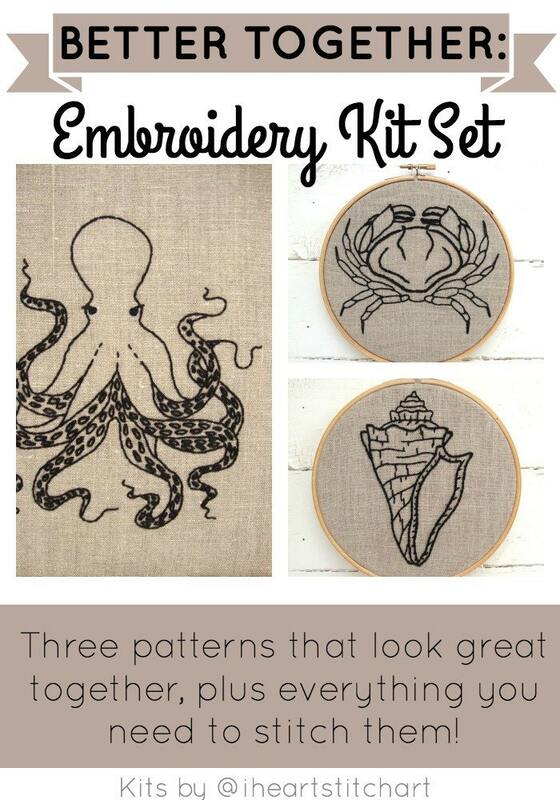 The perfect embroidery kit for the beach lover! Triple your fun with a shell, a crab, and an octopus in your choice of colours! 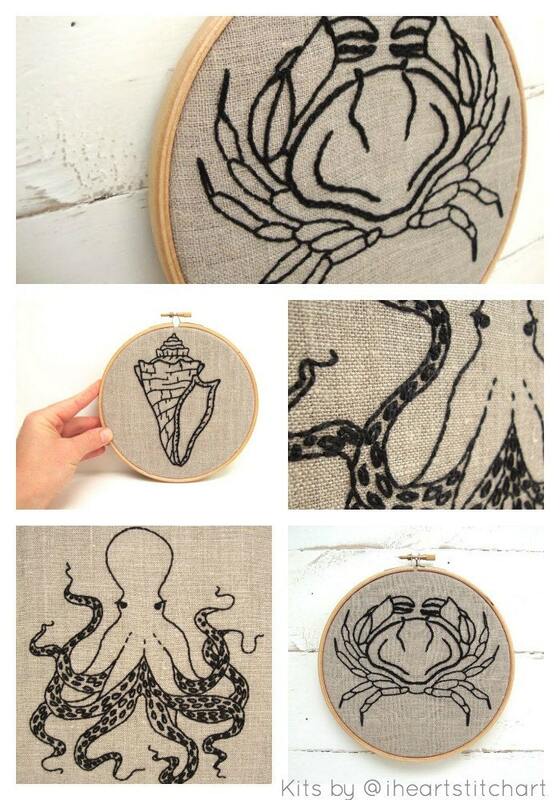 This set is the perfect way to learn embroidery and create a beautiful set of DIY hoop art pieces. This listing is for the NATURAL + BLACK colour. 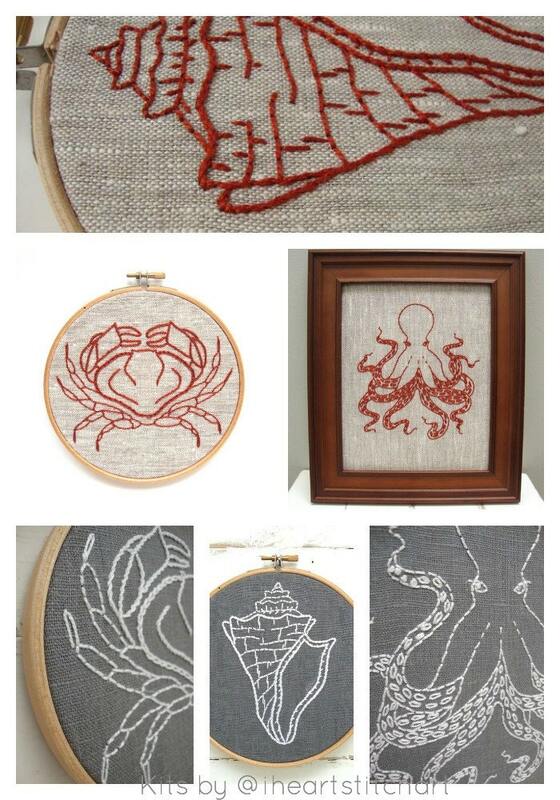 * 2 6" wooden embroidery hoops* (note: the octopus is larger than the 6" hoop; we include 2 hoops in case you want to display the crab and the shell in the hoop). 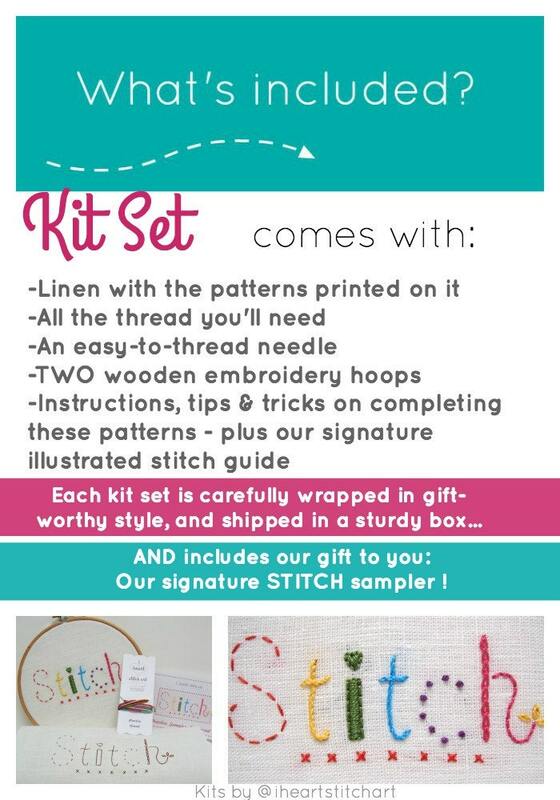 *BONUS: our gift to you - our signature STITCH sampler, designed to help you practice and master the basics in a fun and bright way! Octopus - fabric measures approximately 11.5" x 10.5"; octopus measures 6.25" x 7". Crab - fabric measures approximately 10.5" x 9"; crab measures 5.5" x 4.25". Shell - fabric measures approximately 10.5" x 9"; shell measures 3.5" x 5". Note: The patterns are all printed on the same dye-lot of linen, so although they may look slightly different in the photos, they will match in reality! I love this kit--I have several from this seller, who could not be more accommodating or give more attention to detail. I recommend this shop wholeheartedly and plan on ordering from her again.